Shin Yang is a Malaysian logging and oil palm plantation company. 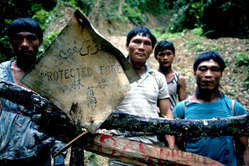 Its operations are destroying the Penan tribe’s forests in Sarawak, in the Malaysian part of Borneo. The Penan have been fighting for many years to keep logging companies off their land. Oil palm companies are now starting to move into areas where the valuable timber has been taken. 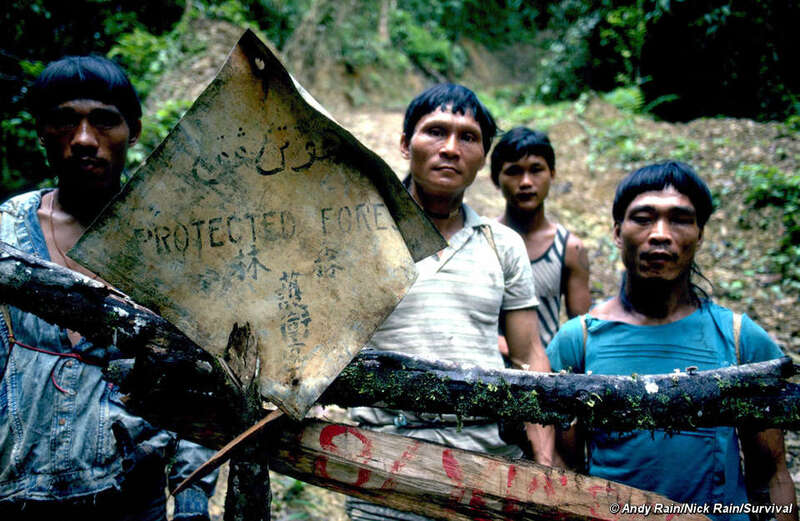 Penan men stand by a forest blockade. Shin Yang has established large-scale oil palm plantations on Penan land, often without consulting the Penan. 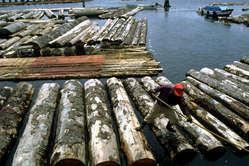 It is also one of the biggest timber firms in Sarawak and is licensed to operate on major tracts of Penan land. The company is owned by the Ling family and is based in Miri, Sarawak. Shin Yang has faced repeated blockades by Penan trying to protect their land. The Penan are still fighting against continued encroachment by the company and have received little or no compensation for the loss of the forests they rely on. Shin Yang is planning to take everything. We want to make them stop and leave the rest. If they come again we’ll chase them out with blowpipes. The company operates on Penan land without the tribe’s consent, and has even claimed in an ‘Environmental Impact Assessment’ report that an area where the tribe live contained ‘no permanent local settlements’ and that there was ‘no legal claim of NCR [native customary rights] land within the land’. In fact, the area contained at least six Penan settlements. Perhaps unsurprisingly, one of the consultants involved in preparing the report was also a Shin Yang employee. Shin Yang started planting oil palm in this area in 2001, clearing large areas of the Penan’s forest.